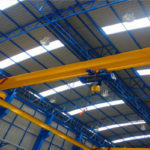 The double girder eot crane can complete a variety of lifting objects. 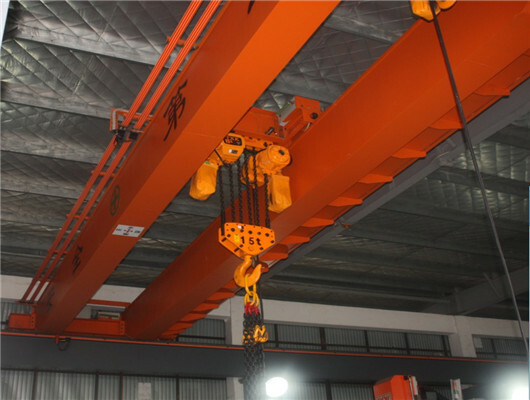 The double girder overhead crane consists of a straight rail, the main beam, trolley travelling mechanism, a power transmission system and an electrical control system, and is particularly suitable for large-suspension and large-lifting flat surface range material transportation. Double girder eot cranes have strong bearing capacity, large span, good overall stability, and many varieties, but their own quality is larger and their cost is higher, compared with single-girder crane. 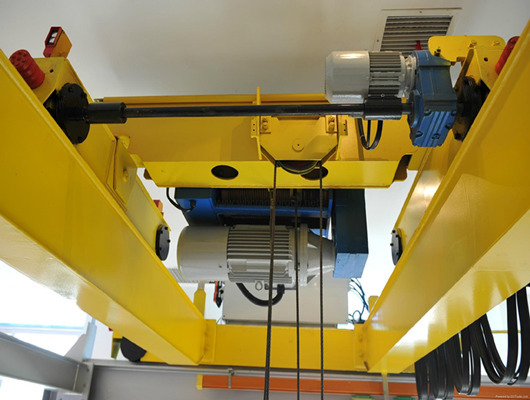 Our company’s crane manufacturing industry has had several decades of experience since it was founded. 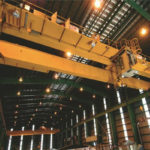 Our crane manufacturing design style has far-reaching impact for other companies. The representative model is also the design of crane factories of our company. 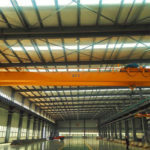 There are various crane types, such as LD electric single girder cranes, QD type overhead cranes, LH type hoist double girder cranes, QZ type grab overhead crane, and YZ grab bridge cranes. They have all designed series of standard drawings, which brings great convenience to manufacturing. It has been used by many crane manufacturing industries. Some firms have compiled their own experience and summarized their own standards. Some enterprises with large scales have also carried out re-mapping on the original design basis and enhance their abilities. In any case, the standardization of design can satisfy the customers’ requirements. 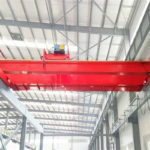 As the demands of the market, the double girder eot crane can be widely used in loading and unloading goods in workshops, warehouses, open storage sites, ports, etc. 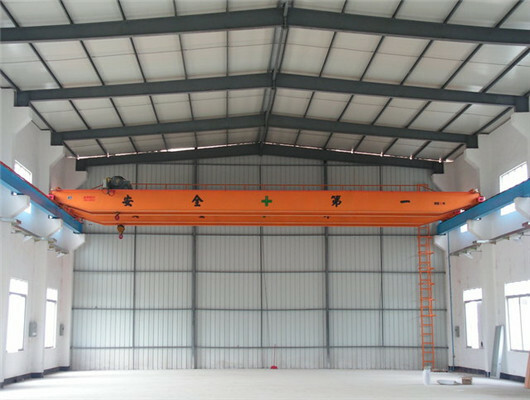 LH model double girder eot crane has many advantages with compact dimensions, low building clearance, light weight, low wheel pressure, etc, which can increase the crane’s service space. As a result, it can save costs. It is mainly applicable to the mechanical processing workshops,metallurgical plant auxiliary workshops, warehouses, material yards, and power stations with the transferring, assembly, overhauling, and loading and unloading goods. It can also replace ordinary double girder bridge cranes, and can be used in the production workshops of the textile and food industries. The types of work are divided into light and medium. However, they are prohibited to use in some environments including flammable, explosive sites and corrosive media place. LH type overhead crane with CD1, MD1 and other models of electric hoist support the use of a small and medium-sized rail cranes. Its lifting capacity that is from 5t to 32t, which is very popular about many countries. The crane span is 10.5 to 31.5 meters. The lifting height is 6 to 18 meters. The lifting speed has different types. 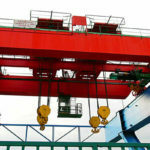 The standard trolley travelling speed of crane is 20 m/min. The working grade can change its design model. Apart from the standard lifting speed, there are many optional levels of its speed. The working environment can be suitable for some range temperature from -20 to +40 degrees. If the customer has different requirements out of offering specification, you can contact us and we can adopt non-standard customization according to clients’ requirements. We adopt advanced technology with long service life and low maintenance. 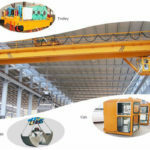 There are many types of cranes which can be used in all sites. It can be applied to a weight of 1 to 20 tons and a span of 8 to 30 meters. European double girder eot crane is suitable for open-air work places such as station wharf, warehouse goods, construction site, factory, hydroelectric power station. It can be used in working process of indoor workshop. 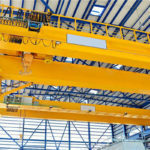 The overhead crane has two forms of ground control and cab control. However, usage rate of common cranes is relatively little and most of clients would like to use European-style cranes, which stems from many aspects. The low headroom design manifests many advantages including light weight, energy saving and environmental protection, high lifting weight, and low pressure. In order to meet the need of various operating conditions or logistics delivery, our team improves productivity. In addition, we have convenient transportation and we also support shipping depending on the need. Every part has simple structure and improves product’s management. The lifting capacity is 5 to 320 tons. The crane span is 10.5 to 31.5 meters. The lifting height can be adjusted from 6 to 18 meters. The trolley travelling speed has different standards. The type belongs to the new generation crane. So if you want to customize new type, we can meet your requirement. If you are interested in our products, please contact us as soon as possible. Double girder bridge cranes have two trolleys that can be used simultaneously or separately. It is suitable for the lifting long pieces of materials in workshops or open-air warehouses of factories and mines. This two trolleys of the product can be used at the same time or alone. Because the usage of the crane is a careful project, the operators should receive training and guidance from the manufacturer. 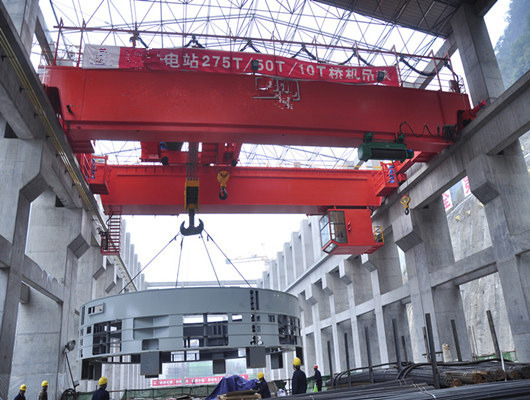 They need have a thorough understanding of the structure and performance of the machine, and gain certain operation and maintenance experience to use the crane. The manufacturer’s product usage and maintenance instructions are necessary information when the operator uses the equipment. Before operating the product, it is necessary for usage and maintenance to read the instructions. They can operate and maintain according to the instructions. Simple structure also facilitates further product maintenance and management. 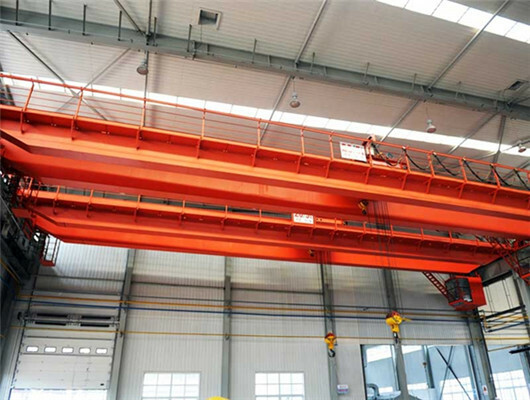 As the leading manufacturer in China, we have more than several years manufacturer’s experience of double girder eot crane. 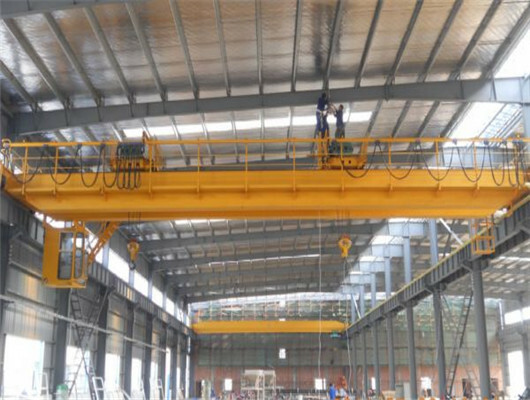 In short, the double girder overhead crane is used according to the requirements of maintenance and use, which can be summarized as strengthening training, reducing load, and checking. As long as you value and implement crane maintenance as required, it will reduce the occurrence of early failures and prolong service life. We can improve work efficiency of product and make machines more profitable for you. We will consider to improve the safety, convenience, and ease of purchase of customers when they meet the products. We will strictly control the quality and provide customers with better crane equipment. We make Weihua crane manufacturers keep quality image. If you need a new double girder eot crane supplier, please contact us as soon as possible. We can make all customer get stable quality. If you have some demands or order some products, you can tell us. Our company value service has won wide reputation from users. When it comes to the product quality, we not only pay attention to the equipment production and management, but also concern the responsibility and service. 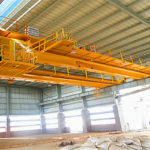 Are you searching for the double girder eot crane? You can get in touch with our firm or staff. If you have spare time, you can visit our factory in China.